Yaguas Becomes a National Park – Who Wins? HomePeru Travel GuidePeru Tourism NewsLatest News ArticleYaguas Becomes a National Park – Who Wins? It would be an immense challenge to describe the Yaguas region to someone who hasn’t been, but the Peruvian government has tried to do just that, and using three words. The area, surrounded by some 29 communities near the border with Colombia received a national park designation earlier this month. We’d like to share in the celebration by revealing some of the winners. Much of the credit for Yaguas’ new status goes to local community leaders who have spent decades working for its protection. During the previous turn of the century, rubber companies carried out tremendous acts of terror and human rights abuses, pushing native people into forced labor, where tens of thousands died of disease and exhaustion. Government officials have assured indigenous populations continued access to the fish and wildlife resources they depend on, with additional economic potential in the careful exploitation of area carbon stocks. Recent spotting of heavy machinery in the region has brought to light the need to intensify conservation efforts. 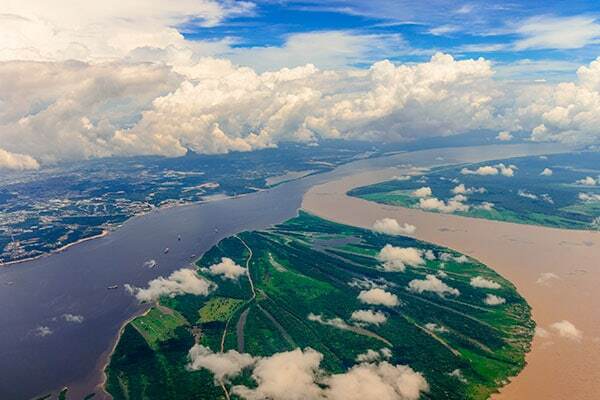 Informal gold harvesting involves clearing large swaths of rainforest, uncontrolled use of mercury and sedimentation disturbances in river systems. The new designation should prove to be a powerful step in the long fight against illegal operations, which harm sensitive fauna such as giant otters, river dolphins, manatees and wooly monkeys. Yaguas has already proved to be a rich area for scientific study, which have included aerial photography, mapping and biological and social inventories. The government agency SERNANP has reported on some of the exciting findings already – the discovery of new species that include eight fish, three amphibians, one bird and nine plants. Estimates on biodiversity have shown that the area’s ecosystem provide home to more than 3,000 species of plants, 500 species of birds, 160 species of mammals, 110 species of amphibians and 100 species of reptiles. Indigenous leaders believe that curbing deforestation and other illegal activities in Yaguas is a contribution towards stopping global climate change. Want to get up close and personal with the Yaguas region? Plan a custom Peru vacation that includes a visit to the area with the support of a Kuoda travel designer. In the meantime, why not view one of our sample itineraries?